King Lear is a tragedy by William Shakespeare, believed to have been written between 1603 and 1606, and is considered one of his greatest works. The play is based on the legend of King Leir of Britain. 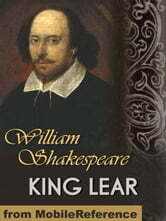 It has been widely adapted for stage and screen, with the part of Lear being played by many of the world&apos;s most accomplished actors.There are two distinct versions of the play: The True Chronicle of the History of the Life and Death of King Lear and His Three Daughters, which appeared in quarto in 1608, and The Tragedy of King Lear, which appeared in the First Folio in 1623, a more theatrical version. 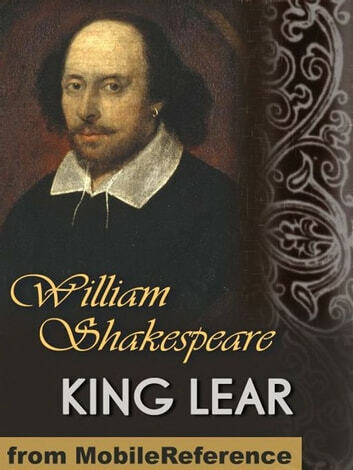 The two texts are commonly printed in a conflated version, although many modern editors have argued that each version has its individual integrity.After the Restoration the play was often modified by theatre practitioners who disliked its nihilistic flavour, but since World War II it has come to be regarded as one of Shakespeare&apos;s supreme achievements. The tragedy is particularly noted for its probing observations on the nature of human suffering and kinship. Excerpted from Wikipedia, the free encyclopedia.